Also known as Stagnant loop syndrome, it occurs when a part of the small intestine bypasses, meaning the food doesn't move normally through the digestive tract, slowing or stopping the digested food thus making it a breeding ground for bacteria to the point where problems in nutrient absorption occur. 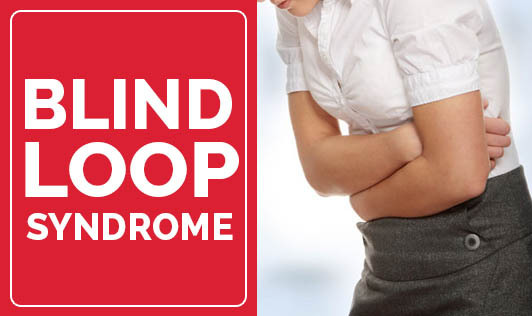 The Blind loop syndrome often causes malnutrition, weight loss and diarrhoea. What triggers Blind loop syndrome? This can be caused by complications of abdominal surgery such as gastric bypass, stomach cancer and surgeries done for extreme obesity, structural problems in and around the small intestine and certain medical conditions such as diabetes and Crohn's disease. What are the symptoms of Blind loop syndrome? What are the risk factors associated with Blind loop syndrome? Note that nausea and bloating are the signs and symptoms of many intestinal problems. Hence, see your doctor for a complete evaluation.